We break down the best way to get a good car loan into 5 steps. If you’re preparing to purchase a car, you’ve likely spent weeks, or even months, researching a variety of makes, models, features, and trims. If your days been consumed with price comparisons, test drives and reading car reviews, you should feel confident that you’re making the right choice. However, if you haven’t put as much time into planning your auto financing as you have into the vehicle, you may find yourself in a tricky situation when it comes time to buy. Putting in some prep work to qualify for a good car loan will pay off as much as your research into the vehicle. A good starting point for ensuring you qualify for a good auto loan is being aware of what is on your credit report and your credit score. While your income, employment history, and down payment will all factor into your loan qualifications, your credit score will be the most impactful part of your application. Understanding what is on your credit report and checking that your credit score accurately reflects your financial history will help you make sure you’re offered a fair interest rate. If you see any mistakes on your report, you should file a dispute to get them corrected. Keeping an eye on your score will help you prepare for the next steps of the auto finance process based on your credit category. Once you have your score in hand, you can evaluate how to proceed. If your score falls into the ‘good’ or ‘excellent’ range, you should have no problem getting approved for a car loan at a good interest rate. If your score is in the ‘fair’ or ‘poor’ range, getting approved can be more challenging. The good news is that you’re not alone. Many car buyers don’t have excellent credit and dealerships and lenders can usually accommodate buyers from various financial backgrounds. The bad news is that you may be stuck paying a high interest rate on your auto loan which can add up over the lifetime of the loan. To sidestep getting stuck with an unreasonable interest rate, or getting denied for your loan entirely, you can take action immediately to improve your score. Start by eliminating large credit card balances and working towards paying all your bills on time, every time. If your car purchase isn’t urgent, you can work to improve your credit score over the course of several months so that you’re able to buy the car you really want and pay a fair interest rate. If your score is on the low end simply because you don’t have enough credit built up, it will work to your advantage to find a cosigner such as a family member or close friend to sign off on the loan with you. A cosigner can also assist if your score is low due to missed payments or bankruptcy in the past. Typically, a credit score of 700 or higher will qualify a cosigner as having good credit and will give them the ability to assist in your approval. The lender may also look at the cosigner's income to determine qualifications and loan terms. You should be confident in your ability to pay off the loan because if you fall behind, the lender will automatically contact your cosigner to recoup the payments which can put a strain on the relationship. Just like improving your credit score, saving up for a car down payment does require some patience, but it pays off big time. Having a down payment ready not only helps you get approved for a car loan even without having perfect credit, but it also reduces your monthly payments since you’ll be financing less of the vehicle. 20% of the car's price is recommended as a down payment for new vehicles and at least 10% down is recommended if you’re going with used. 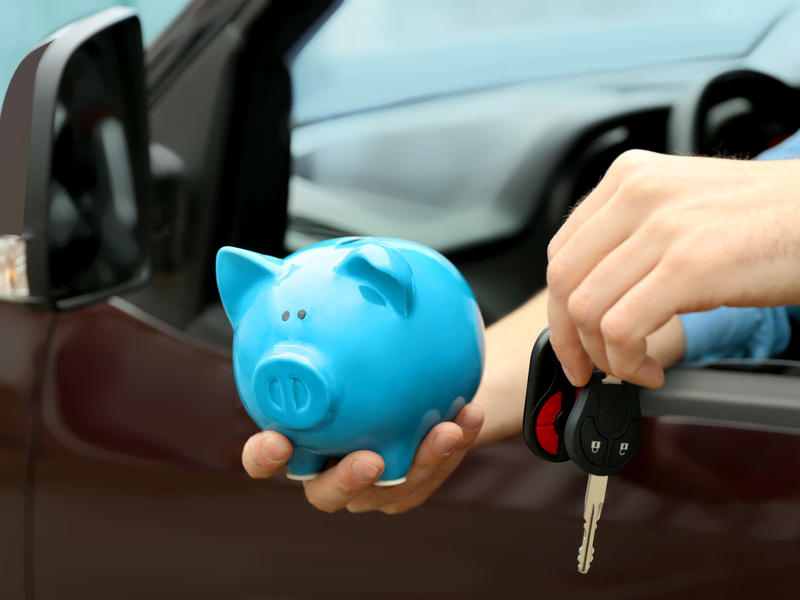 Need some practical tips to get started saving up for a vehicle down payment? See our simple guide to saving for a car. Many car shoppers don't look into getting auto financing offers until they are sitting in the dealership's Finance and Insurance office. This common car loan mistake can end up costing you. Getting pre-approved for a car loan means you're offered a loan amount and interest rate before you go to buy the car. You can get pre-approved by multiple lenders which lets you compare and choose the lowest interest rate and the best loan terms. This can potentially save you thousands of dollars over the course of your loan. Although anyone can shop around for financing, it's especially recommended for anyone who has compromised credit. You don't want to be blindsided by a rejected application at the dealership or get cornered into paying an outrageously high interest rate.